The Washington, D.C. engagement of Come From Away has extended its run at Ford’s Theatre ahead of its Toronto and Broadway premiere. Performances will now run at the D.C. venue through October 16, instead of the previously announced October 9. 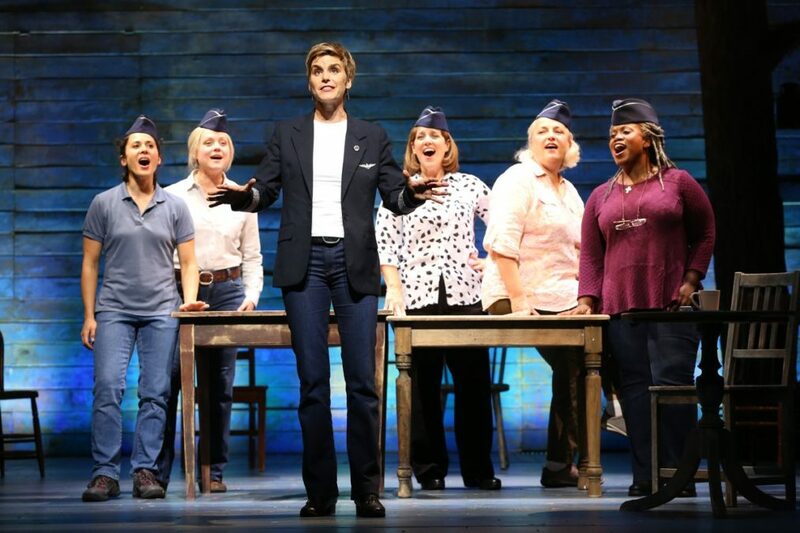 Written by Irene Sankoff and David Hein and directed by Christopher Ashley, Come From Away tells the story of a group of passengers from 38 planes that were diverted to Gander, Newfoundland on September 11, 2001 following the attacks in the U.S. The small town doubled its population by welcoming them in and offering a sense of community in one of the darkest days of North American history. The show will next run at Toronto’s Royal Alexandra Theatre from November 15 through January 8, 2017. Performances will then begin on Broadway on February 18, 2017 at a Shubert theater to be announced. The Ford’s Theatre cast features several performers who will reprise their roles in the subsequent stagings, including Geno Carr, Jenn Colella, Joel Hatch, Rodney Hicks, Kendra Kassebaum, Chad Kimball, Lee MacDougall, Caesar Samayoa, Q. Smith, Sharon Wheatley and Astrid Van Wieren.